Are you compliant with the new changes made to Scotland’s oil regulations? The Scottish Environment Protection Agency (SEPA) has contacted Fuel Oil News for assistance in drawing attention to the changes that are happening in Scotland with respect to oil regulations. With new rules now in place, if you store oil on your premises for onward distribution you will need to review the changes to make sure you are compliant. A wide range of premises are covered, including industrial businesses, commercial businesses, institutions (residential and non-residential) and farms. SEPA is writing to all companies in Scotland who will be affected by the change, to highlight the changes and provide details on how they can comply. General Binding Rules (GBRs) replace the Water Environment (Oil Storage) (Scotland) Regulations 2006 (OSR) on 1 January 2018. The GBRs sit under the existing Water Environment Controlled Activities Regulations (CAR). The changes were included in a Scottish Government consultation, which closed in February 2017. Both the Scottish Government and SEPA have been keeping oil trade associations up to date on the new regulatory changes. If your site manages onward distribution of oil you will no longer be able to operate under an exemption. You will have to comply with General Binding Rule (GBR) 28. More details of GBR 28 are available in the CAR Practical Guide on the SEPA website. 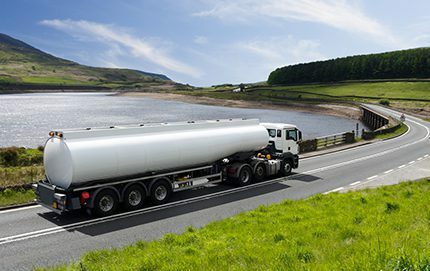 If your site cannot comply with the conditions set out in GBR 28, then an application must be made to SEPA under CAR for the safe management of oil storage. If an improvement plan is deemed necessary, following the submission of a licence application, a date will be set of nine months from the date of issue of the licence for the plan to be submitted to SEPA (or the improvement plan can be submitted with the initial licence application if they prefer). You can review the legislation on the Scottish Government website or visit the SEPA website for details on how the changes affect you.